Our client wants to understand the effect of online advertisements on offline sales using data from retail clients. As online advertising increases, this becomes a bigger challenge. In partnership with Comscore, we developed an automated reporting tool which reported metrics that measured this effect. 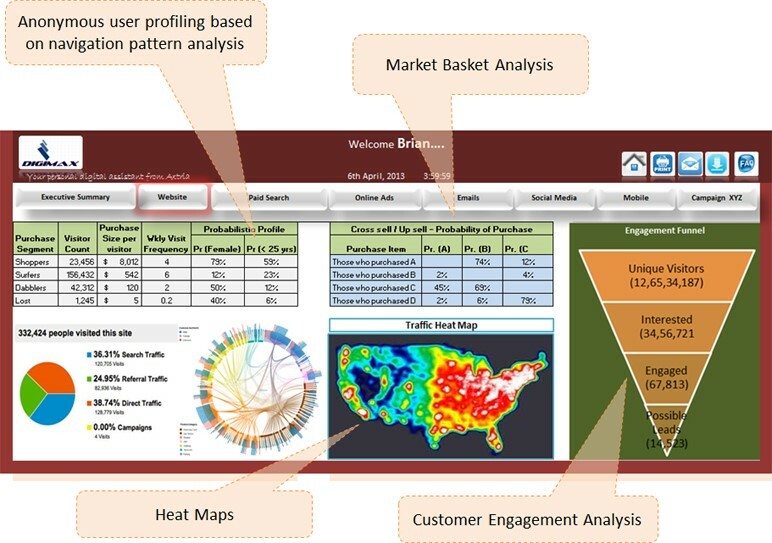 A dashboard including other metrics from the online data was built on top of the analysis for easy insight generation and consumption by the business teams. Our analysis found that some categories of products showed more affinity to be advertised online compared to others. Axtria was asked to build a process and transition it to the home team, so all future analyses could be handled internally by the client.